Merck (NYSE: MRK), known as MSD outside the United States and Canada, and the American Diabetes Association today issued a new challenge to the millions of Americans affected by type 2 diabetes as part of the program America’s Diabetes Challenge: Get to Your Goals. 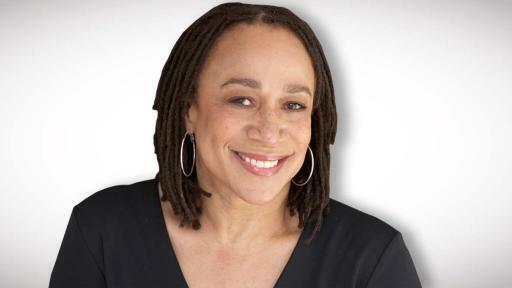 In 2015, award-winning artist Tim McGraw, celebrated actress S. Epatha Merkerson and chef Leticia Moreinos Schwartz each shared their personal connection to type 2 diabetes. This year, they’re calling on people to share their stories. Living with diabetes isn’t easy, and that’s why America’s Diabetes Challenge encourages people with type 2 diabetes to work with their doctor to set and reach their A1C goal.1 The program will aim to identify the most common challenges patients submit and will offer tips to help address them. The program is also designed to help people learn if they’re at risk of low blood glucose, known as hypoglycemia, and how to help reduce that risk. 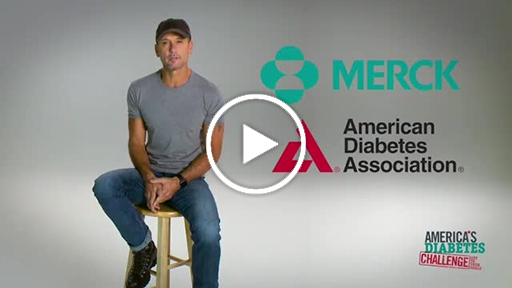 Tim McGraw speaks about type 2 diabetes. Tim McGraw wants to hear from you! 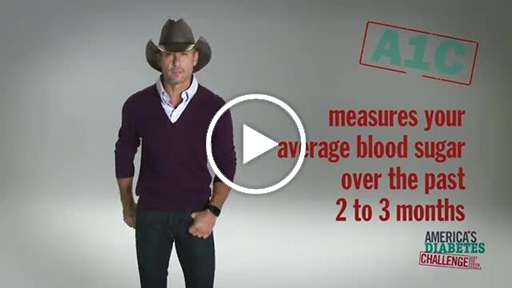 Tim McGraw talks healthy eating choices. Since 2014, America’s Diabetes Challenge has traveled the nation, interacting with patients and their loved ones. Many have already expressed that they’ve had difficulty reaching their A1C goal, eating healthy foods, visiting their doctor regularly and keeping their blood glucose levels in their target range. People have also voiced successes that helped them reach their A1C goal, such as sticking to individualized diabetes management plans. This year, the program aims to bring these experiences to life by encouraging anyone who has type 2 diabetes or has a loved one living with diabetes to submit their stories through messages, photos or videos at AmericasDiabetesChallenge.com. A personalized diabetes management plan is the necessary foundation to help achieve better blood glucose control. 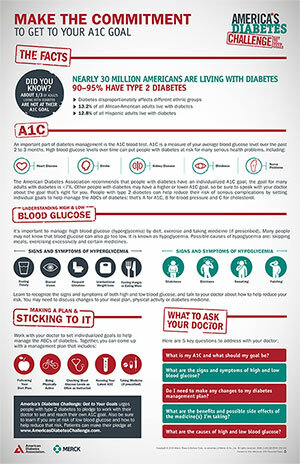 The Association recommends that people with diabetes have an individualized A1C goal; the A1C goal for many adults with diabetes is less than 7 percent. A higher or lower goal may be appropriate for some people. 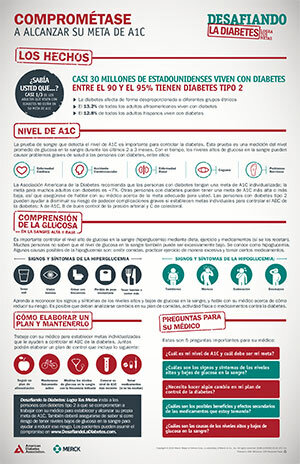 However, about one-third of adults living with diabetes aren’t at their A1C goal. Many people with diabetes are aware of the importance of controlling high blood glucose by diet, exercise and taking medicine (if prescribed by their doctor), but they may not know that blood glucose can also go too low. Hypoglycemia can make you feel shaky, dizzy, sweaty and sometimes faint. If left untreated, hypoglycemia may cause serious side effects, including a seizure or loss of consciousness. Some people may be aware that low blood glucose can be caused by skipping meals or exercising excessively, but what they may not know is that certain diabetes medicines could also cause it to go too low. America’s Diabetes Challenge seeks to empower people with type 2 diabetes to reach their blood glucose goals and share their stories. For more information and to share your story, visit AmericasDiabetesChallenge.com. 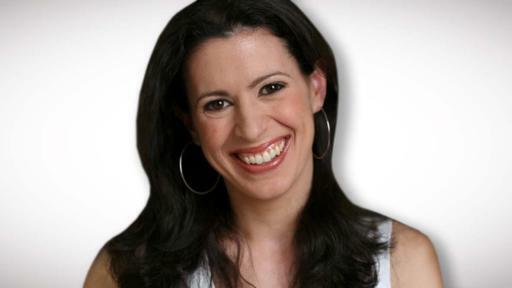 You can also join the America’s Diabetes Challenge community by visiting facebook.com/AmericasDiabetesChallenge. Nearly 30 million Americans have diabetes, and 90 to 95 percent of these people have type 2 diabetes. When someone has type 2 diabetes, the body doesn’t make enough insulin and/or the insulin that the body makes doesn’t work properly. This causes blood glucose levels to become too high, and the body may also keep making glucose even though it doesn’t need it. Once a person has type 2 diabetes, it doesn’t go away, and high blood glucose levels over time can lead to serious health problems, such as heart disease and stroke. The American Diabetes Association is leading the fight to Stop Diabetes and its consequences and fighting for those affected by diabetes. The Association funds research to prevent, cure and manage diabetes; delivers services to hundreds of communities; provides objective and credible information; and gives voice to those denied their rights because of diabetes. Founded in 1940, our mission has been to prevent and cure diabetes and to improve the lives of all people affected by diabetes. For more information, please call the American Diabetes Association at 1-800-DIABETES (800-342-2383) or visit diabetes.org. Information from both these sources is available in English and Spanish. For 125 years, Merck has been a global health care leader working to help the world be well. Merck is known as MSD outside the United States and Canada. Through our prescription medicines, vaccines, biologic therapies and animal health products, we work with customers and operate in more than 140 countries to deliver innovative health solutions. We also demonstrate our commitment to increasing access to health care through far-reaching policies, programs and partnerships. For more information, visit www.merck.com and connect with us on Twitter, Facebook, YouTube and LinkedIn.